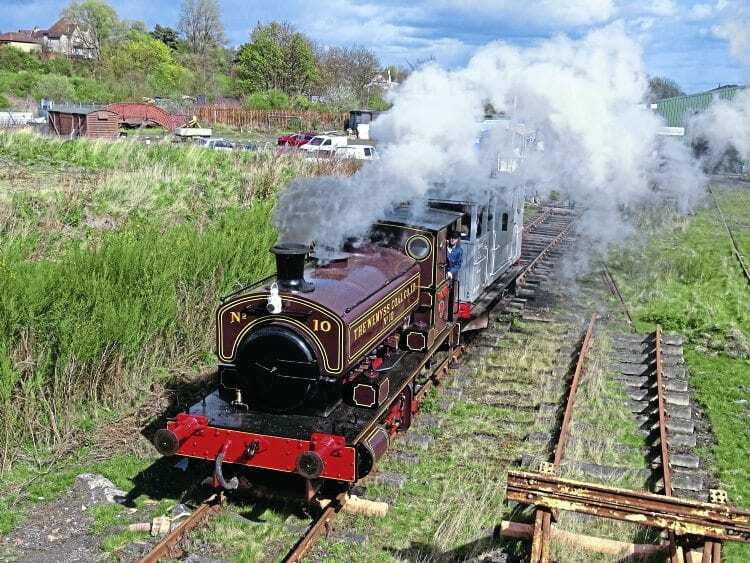 THE Fife Heritage Railway’s Andrew Barclay 0-4-0ST Forth was formally rededicated during a special ceremony on April 15. The ex-Granton Gas Works No. 10 (1890/1926) returned to steam last August and even worked trains during the autumn, but its paintwork was still incomplete and awaited the final touches to its ‘Wemyss Coal Company’ livery, applied in homage to Fife’s famous Wemyss Private Railway.